We can change your static website into a useful dynamic design. 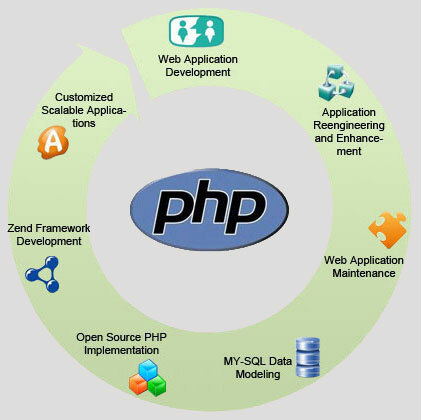 The powerful capabilities of PHP and MySQL will entice your target audience to return. Perhaps you need a customer to purchase services or products with a credit card or display an online catalog. Or, a customer could login and perform lookups in your database. Scripting allows you to be on the leading edge of technology. A recent project allows a business owner to sell online courseware via credit card transactions, grade tests and send certificates of completion to the students. All of this is possible through custom applications written specifically for a particular need. See http://innovative-healthcare.com as an example of a customized, database driven website. Web applications can be written specifically to you needs and combining the power of MySQL provides an endless array of programming possibilities. 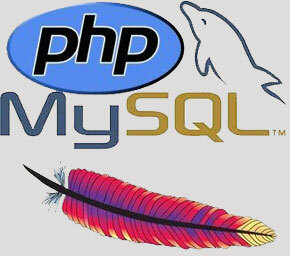 MySQL is a free open source relational database which can be used to store and retrieve information as needed. Most web hosting services provide PHP and MySQL support. We offer database and application design for the framework of your website. Tuxedo Web Designs has several custom scripts which can be easily added to your existing site. A great example is to have a customer comment section or a page dedicated to customer testimonies. This allows you to display current feedback to new prospective customers. It is too easy for content to become outdated and customers are more interested in recent events. You can add testimonials with our easy to use control panel which allows you to add, change or delete comments whenever you choose. With our Customer Testimonial Script, you have control of your own content. The example below illustrates a sample testimony. You can add new, modify existing customer comments or delete outdated content whenever you desire. No more waiting on your webmaster to acknowledge an email or return a phone call. To operate a demo of this script, go to our working model at http://tuxedowebdesigns.com/demo. Scripting allows special purpose functions to run inside your website. Another useful function would be to store customer information, such as names, addresses, telephone numbers or other useful information. Contact us to discuss the application(s) you have in mind. Scripting gives you the power to achieve the goal you need.